The Beginning of Another School Year – Blessing Everywhere! 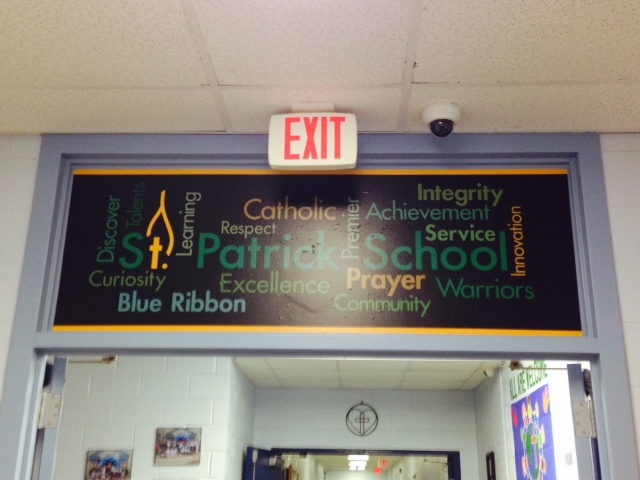 Can it be that this is my 5th year at St. Patrick School? The time has gone bye so quickly and as the school year begins, I find myself pausing to reflect upon the past 4 years and what we have accomplished. 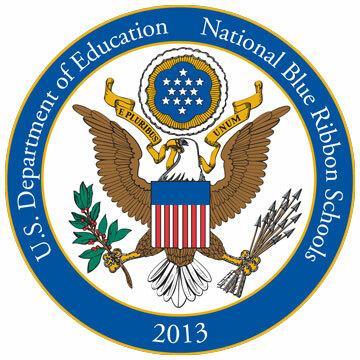 It is easy to begin to list all of the great successes we have had: A National Blue Ribbon Award, Middle States Accreditation, a new science lab installed, a playground installed, the library being renovated, iPads purchased for grades PreK – 4, and the list can go on and on. All of these are wonderful, but the aspect that I feel has grown the most in St. Patrick School is the renewed dedication and focus on our Catholic faith and values. Over the past 4 years Catholic symbolism has been added everywhere in the school building. 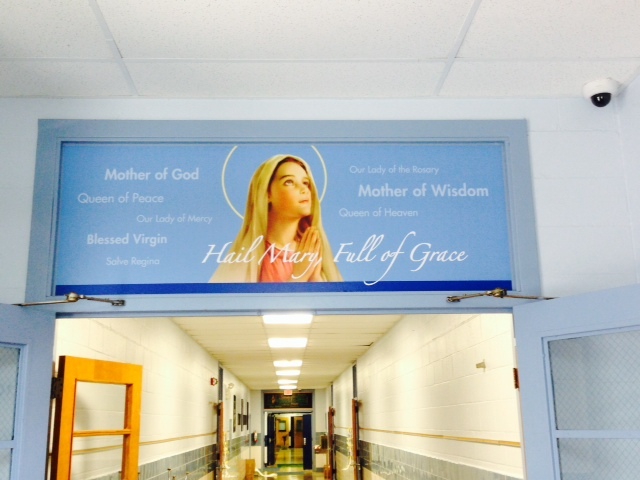 Not only do classrooms have crucifixes, statues of Mary, etc., but one of our entrances to school has been dedicated to Mary with a beautiful life-like statue and artwork that depicts the many titles of Mary. More importantly, prayer and reflection have become an important part of each day for students and staff. This year we are beginning an after school prayer group, Oremus, which means “let us pray” that will meet once a month. We have 18 teachers and staff members who have voluntarily signed up to explore and share their relationship with God. What is amazing and inspiring to me is that these 18 men and women will grow in their love of God through this group, and in turn, will pass along this love and relationship to the students with whom they meet. Is this not the purpose and reason for Catholic schools? Great things have happened over the past 4 years, but powerful and amazing things will continue to happen at St. Patrick School because of the influence and workings of the Holy Spirit in our lives and school. I am blessed to work with amazing teachers and staff members – I am blessed to have incredible families entrust their children to our care – I am blessed to minister and serve the faith community of St. Patrick School in Malvern, PA! Go Warriors!